I think that one of the nicest things about winter is being able to turn on the oven and the stove – making comfort food recipes and having the house smell delicious and welcoming. Having company over and having yummies to offer is always a win. 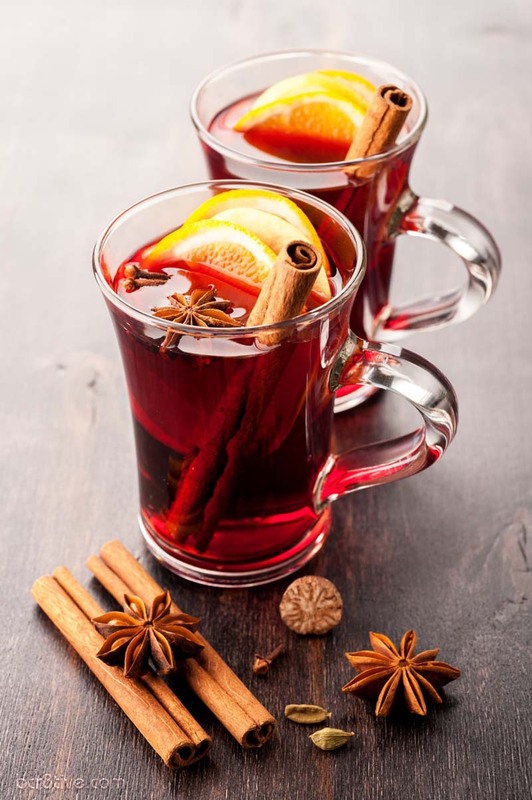 Hot drinks for the holidays and winter season are a special treat. I have fond memories of time spent with family outdoors in the crisp weather, drinking hot Mulled Wine and having lots of laughs. When we had them, they made the spiced wine in cedar barrels and dubbed them “Hot Destard”. After a few, we were asking for another “Hot Bastid” – Good times and lots of laughs. 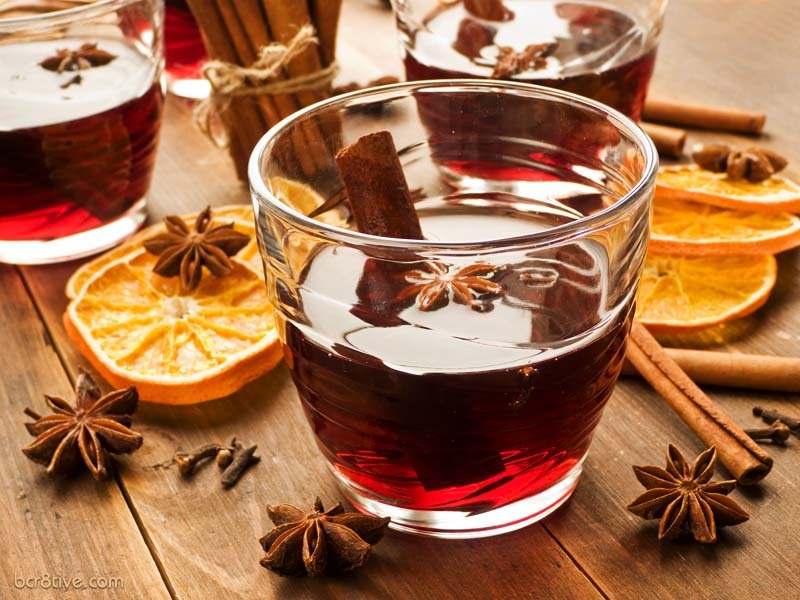 Mulled wine is also known as Spiced Wine or Swedish Glogg. It’s wine infused with cider, spices and fruit rinds. Hot Alcoholic Coffee Beverages are also a favorite. 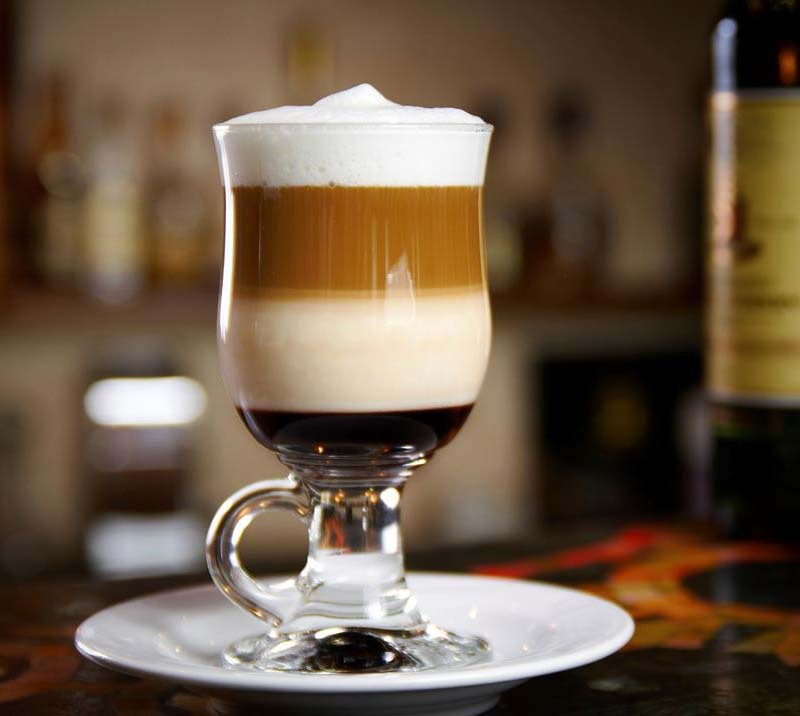 They’re coffees enhanced with different liquor or liqueurs like Baileys, Kahlua, Schnapps, Amaretto and more. Garnish them with whipped cream, chocolate or butterscotch shavings or a candy cane. Add wine, cider, honey, orange zest, and orange juice to a 3-quart pot or larger slow cooker. Stir to combine. Add the cloves, cardamom, cinnamon, and anise. Cook on low until warm, 30 minutes to one hour, depending on your slow cooker. Stir in the brandy. Ladle into mugs and serve with an orange slice and cinnamon sticks. To keep the wine warm, leave the slow cooker on the “keep warm” setting. If your slow cooker does not have a warm setting, alternate between “low” and off. Put wine, cider and sugar in a pot or crock pot. Place spices in a stainless steel tea ball infuser or a cheesecloth bag. Alternatively, place the loose spices directly in the pot and strain through a fine-mesh sieve before serving. Simmer slowly, do not boil, for at least an hour – the longer the better. Garnish with a cinnamon stick and/or a slice of fresh orange. Push cloves into the orange pieces. Place all ingredients in a slow cooker for about an hour. Adjust the flavor by adding sugar or water. How To Make Irish Coffee, The Right Way by Pete Capella of the Savory. Since they will want a special hot drink too. 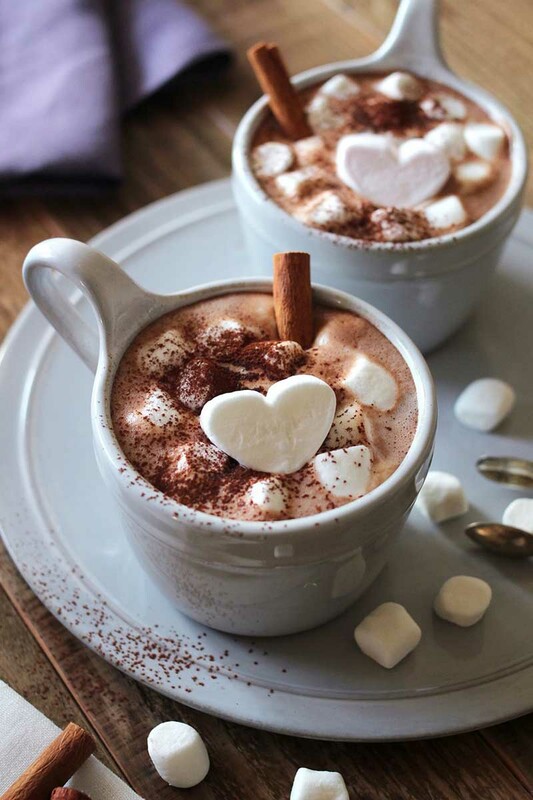 You can doctor up hot chocolate with vanilla, whipped cream, chocolate shavings, white chocolate, marshmallows, cinnamon sticks, or a candy cane. They will LOVE it. Need something to pair with your hot drinks? Try this recipe for Authentic Italian Butterball Cookies.